How Does Perfectionism Hurt Players? What are your thoughts about perfectionism? 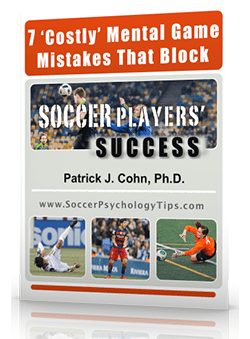 Do you see perfectionism as a necessary ingredient for your success as a soccer player? If you answered the question yes, you see perfectionism as positive. 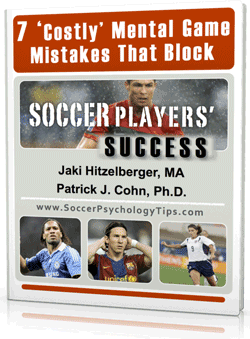 Many top athletes and elite soccer players label themselves as perfectionists. You may look at these players with such admiration that you conclude that perfectionism is the way to go to reach the pinnacle of your sport. But the opposite is true… perfectionism holds you back from achieving your potential once all the practice in complete and it’s game time. One young soccer player was a classic perfectionist with all the signs. All through his young life, his parents put excessive demands on him. His parents’ ultimate objective was to push him to greater heights, a noble goal. On the soccer field, if a goalie made a great save on one of his shots, his parents would look disapprovingly at him for not scoring. Eventually, the young soccer player took on perfection as his goal. He desperately wanted to please his parents and his coaches. Game after game, the young soccer player would mentally replay every mistake he made from the last game. He would get so nervous and fearful of making a mistake that he would make even more mistakes… and the cycle continued game after game. This is the perfection cycle and it NEVER brings out the best of ANY soccer player! 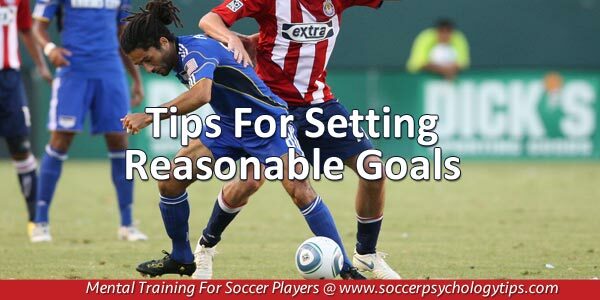 Perfection is an impossible standard for any soccer player. When any athlete fails to achieve a standard or goal they set for themselves, they eventually quit. You may make excuses to miss practices. You may give half effort during drills. You may see scrimmages as unimportant and not go all out. 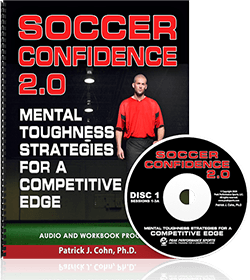 You may hold back in games or mentally give up. You may quit the sport altogether. No matter what you hear from coaches, parents or top-level players, perfectionism is not the road to success… perfectionism is a roadblock, a dead end! For example, Manchester City manager Pep Guardiola demands perfection from his players at all times which has worn on his players. Midfielder Thiago Alcantara believes that Guardiola’s perfectionistic expectation had a negative impact on his players. Wow, that is a resounding indictment on perfectionism! If you learn to swap perfectionism for functionality, you will take a huge weight off your back, free yourself to play the game intuitively and achieve more of your potential. What can I do during a game that I would view as a success? Is this standard my own or is it something my parents or coaches want? Is this standard realistic and doable? What will be my positive response if I fall short of this standard for this game? You must buy into the reality that breaking free from perfectionism will push you to greater heights in your sport.